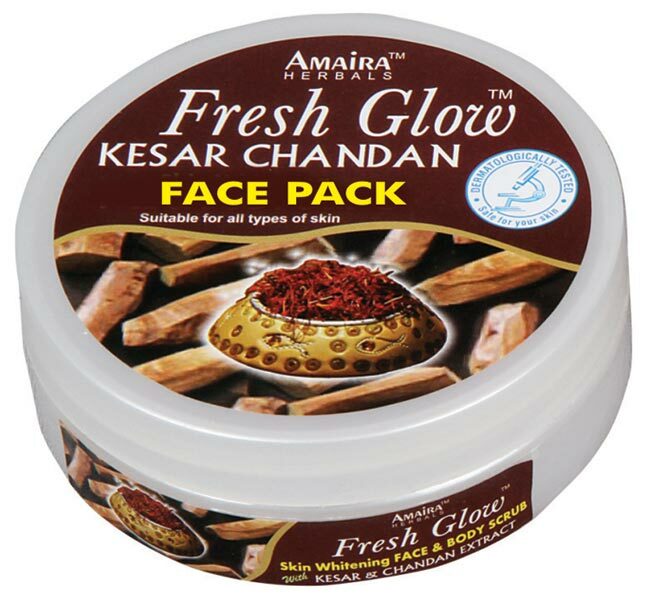 We bring forward one of a kinds Kesar Chandan Face Pack. Manufactured with the finest ingredients, our Kesar Chandan Face Pack delivers impressive results in the quickest span of time. Fresh Glow Face Pack is a unique natural formulation that evens out skin tone for a fairer you! Saffron, Sandal and Kaolin rejuvenate and cleanse your skin of impurities, to reveal a natural glow. Saffron and Sandal enhances your skin's complexion and elasticity. Kaolin removes impurities. Indications : Suitable for all skin types.